According to senior analyst David Gibson, Nintendo will not be taking a loss on Wii U consoles sold anymore. 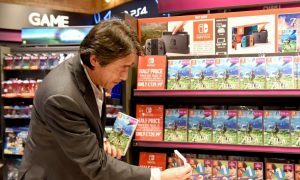 This change happened after the quarterly financial briefing, in which Nintendo stated its outlook for the next year to be 3.6 million units sold. According to Gibson, this is more than Nintendo currently has in stock, so more Wii U units will need to be produced, meaning Nintendo will not be taking a loss on inventory sitting in warehouses waiting to be on retail shelves. This is good news, but so far Nintendo’s forecasts have been very high. With this conservative forecast, Iwata seems to finally acknowledge that the Wii U needs more than one or two games from Nintendo every month in order to move the units of previous forecasts.